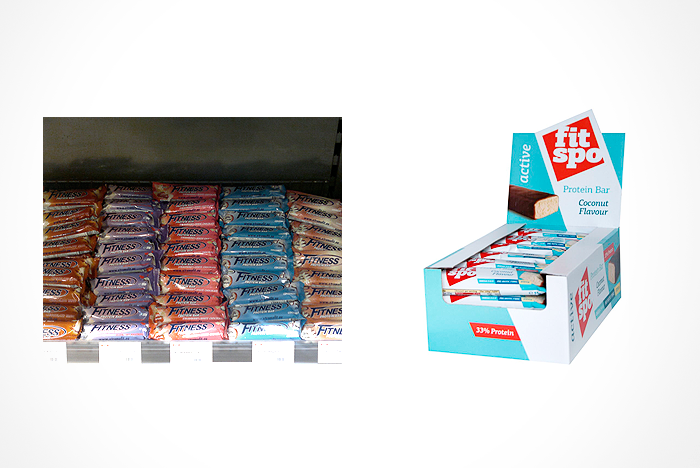 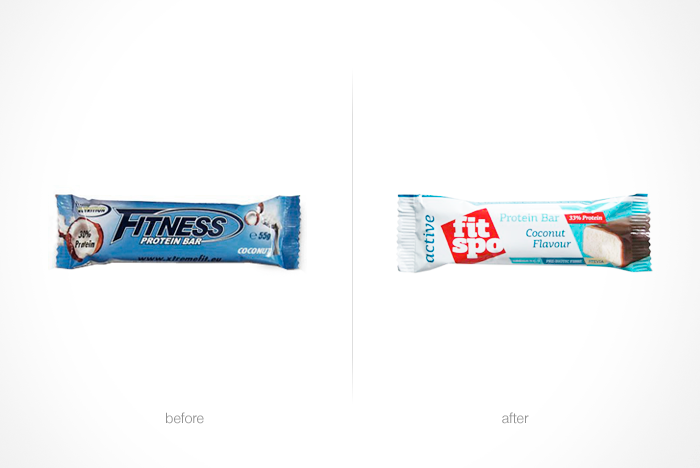 Redesign of a series of FITNESS protein-bar packaging. 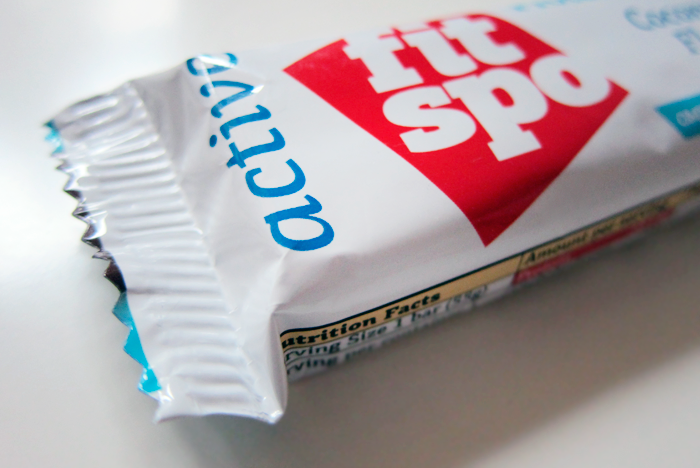 Repositioning and modernizing of the brand to reach a wider range of consumers (active and sports people). 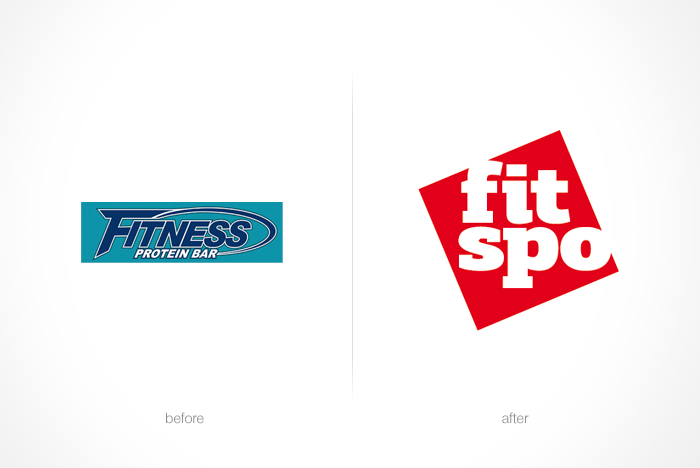 We started by developing a new logo for the new name of FitSpo. 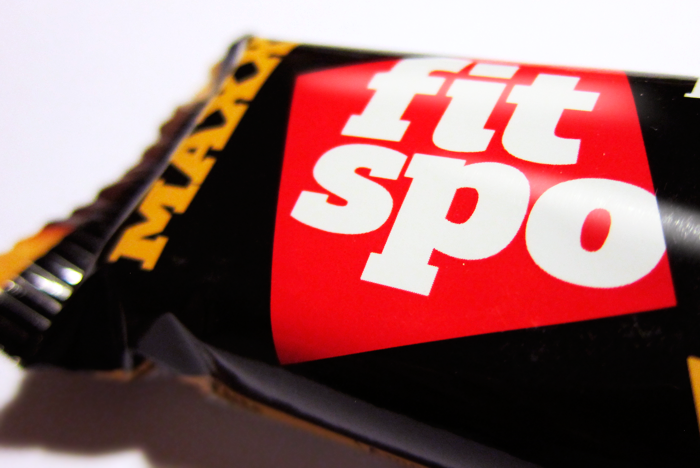 Massive typography (block-serif font) in combination with the prominent red square which is leading in the entire series. 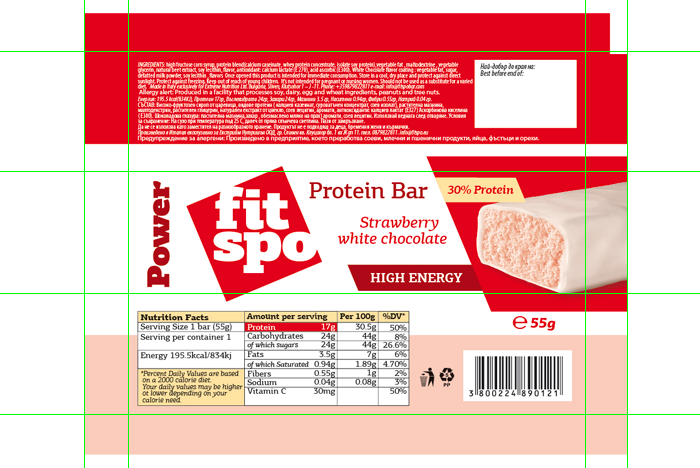 Showing a cross-section of the bar was necessary to ensure that the client understands the make-up and consistency of the product. 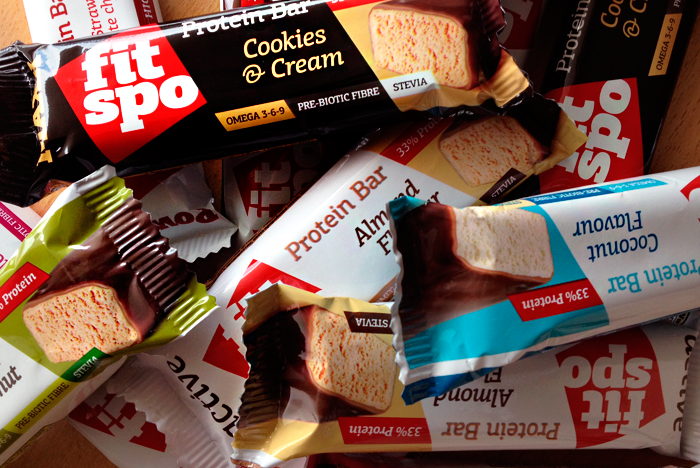 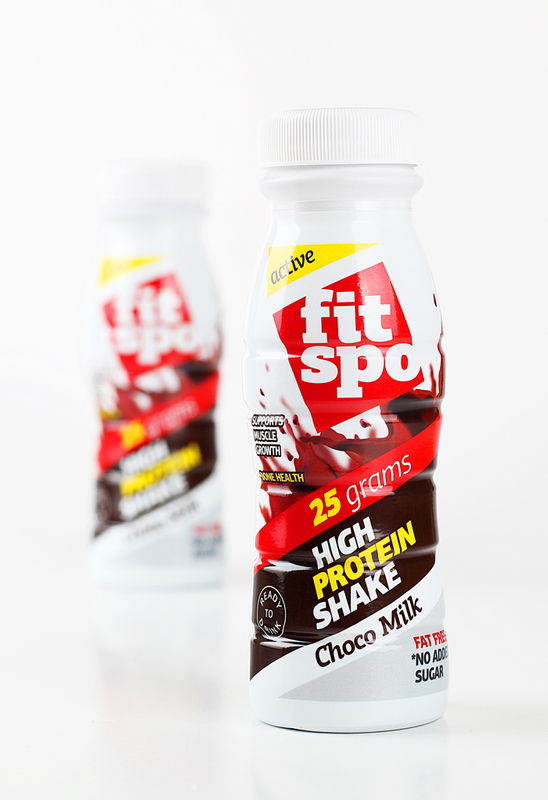 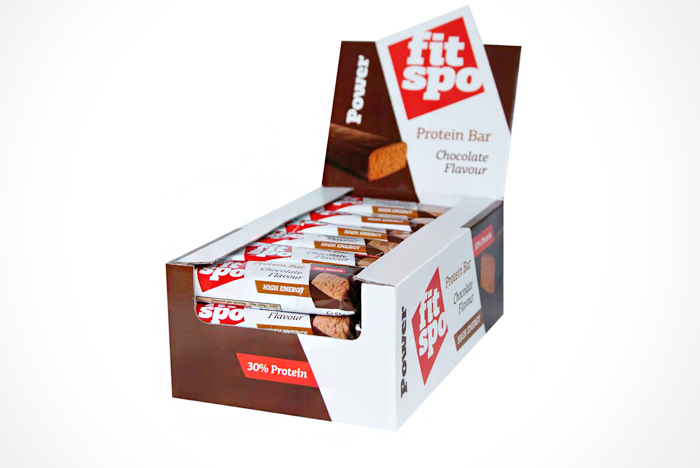 In addition to the series of bars, we have developed the design of the new FitSpo product - a protein shake.